The more I visit Suitsupply Stockholm, the more I want to go back again. This time was no different because Winter is here and a good scarf is mandatory even if you have a cashmere overcoat. I have done very well to build a minimalist wardrobe based on the basics from suits to shirts. This means my wardrobe consists a lot of blue and grey pieces, so I was on the hunt for a splash of colour and contrast in the form of a scarf. Everybody knows merino wool and cashmere but I had heard legends about the new kid in the block, Alpaca. A quick look at the website was enough to warrant a trip to the shop. It took me about 23 seconds to say “I will buy it“. 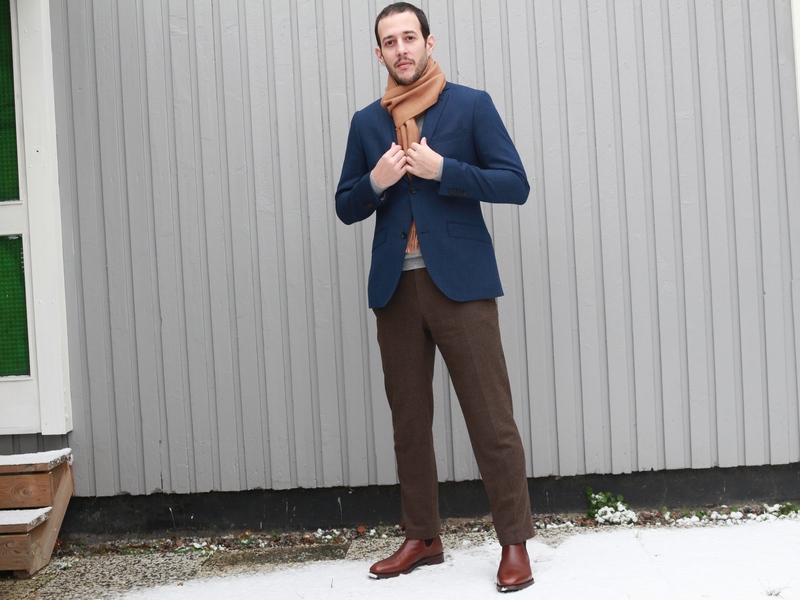 In today’s article we will be checking the “Suitsupply Alpaca Scarf Review in Light Brown“. Alpacas are a South-American species related to camels. If you have heard of llamas then the Alpaca is quite similar, but smaller in size. However, they are not exactly the same. They are super cute and funny and have been fully domesticated and herded for their luxurious coat. Originating from the Andes and living at an impressive altitude of 3.500 – 5.000 meters, there is no doubt that these animals have the tools to deal with the severe cold. The most famous place in the world known for its Alpaca is Peru. Nowadays however, people breed and maintain Alpaca farms in different parts of the world. Alpaca wool surely checks all the marks you want from your scarf and other clothes. Softness: Ultra-fine Alpaca Fibers can be as fine as Cashmere with a diameter ranging from 17 to 23 microns. They have a smoother texture than wool and are hypoallergenic due to the fact that they don’t have lanolin. 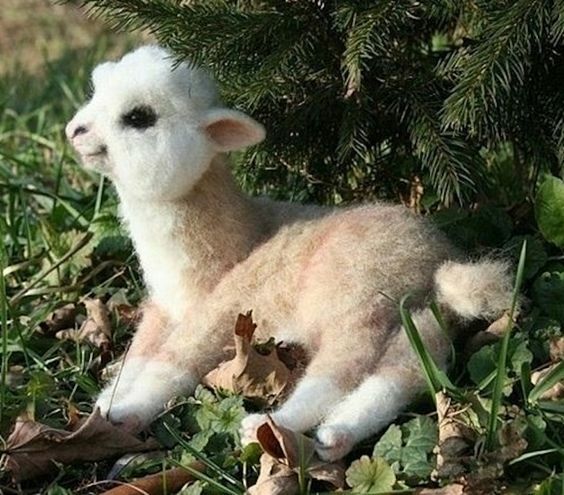 However, do not be confused by the term “Baby Alpaca” as it just describes the quality of the fiber (<21.5 microns) and does not mean they come from actual babies. Durability: Alpaca Wool is also more durable than average fabrics and does not absorb odours as easily. 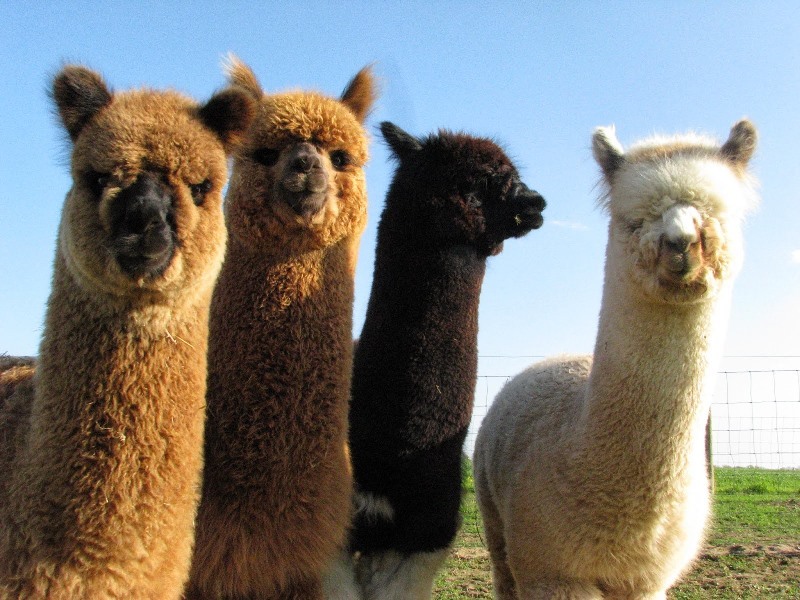 Additionally, Alpacas come in 22 natural colours, which means less stress on the fabrics due to dying. Warmth: It is not only thinner and lighter than regular wool, but also up to 7 times warmer. Luxury: The Incas valued Alpaca Wool as a currency more than gold and only the Emperor could wear the most luxurious ones. If you have worn or touch such a garment you will understand why. Sustainability: While Cashmere has started to be mainstream and bred for quantity over quality, Alpacas are bred into a much smaller scale. Only 4 million Alpacas are estimated to exist compared to 450 million Cashmere goats nowadays. On top of that, one Alpaca can produce up to 5 sweaters, compared to 5 Cashmere goats for 1 sweater. Lastly, they eat and drink more effectively and their hooves are padded and cause less environmental damage. They are certainly very interesting animals with rich history, which should make for a great read if you want to learn more. Enough with the background! Let’s cut to the chase. This is not a fancy looking scarf that will blow your mind. 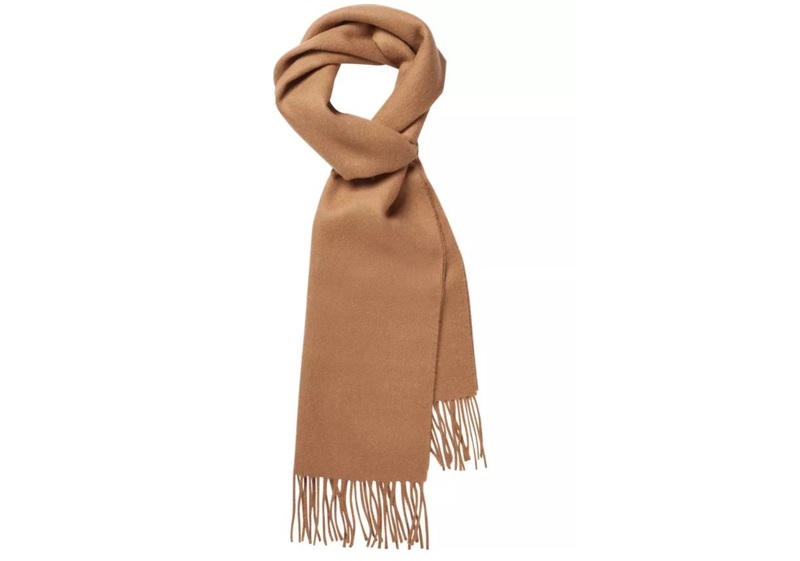 It is a simple, light brown scarf. That means that there are no fancy patterns or details that will make it stand out, apart from the vivid colour of course. 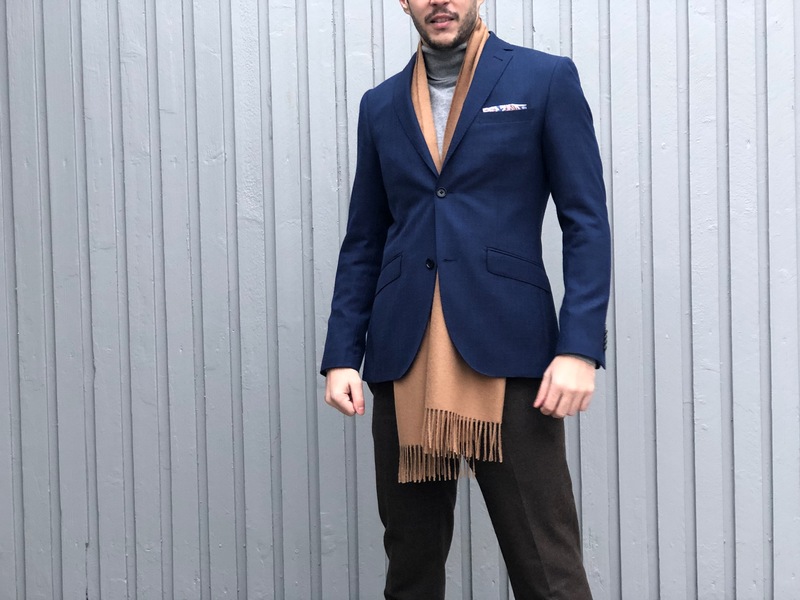 Brown is a wonderful earth shade for Winter (more on that here) and what better way to add some contrast to your navy outfits than light brown. 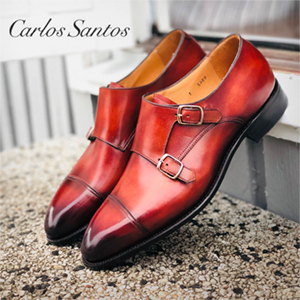 It is a strong, well-put contrast that will tie your outfit together. The weave is twill which is quite obvious upon close inspection and it has fringe edges. For those of you that do not know the term, a fringe is a decorative edge made of hanging strings of fabric. One thing you will notice is how large and wide the scarf is. If you usually find only smaller scarves and have problem wrapping them around your neck, you are in luck here. This means that your neck will be thoroughly covered and you can tie it in many different ways, or let it hanging from the bottom of your coat. It definitely looks and feels durable so far, which is a major plus. That being said, I feel that a 7/10 is a fair grade due to how plain it is. But remember that this is great if you are just starting, as you should start with the basics. It is a very solid scarf and I love it. It is difficult to compare softness in such items and my only point of comparison has been simple woollen scarves I used in the past. I have never wrapped a scarf around my neck so delicate and comfortable like this. It is gentle, warm and not overwhelming due to the fact that it is so thin. Nature is truly amazing. I reserve one point because I have not had the chance to try a pure Cashmere scarf yet, but this Alpaca scarf is what was missing from my wardrobe. Especially when taking into account the price, this is as good as it gets. Quality is a another hard thing to gauge straight out of the box. Looking at the stitching, the weave and the consistency I was very satisfied. This was amplified when I actually put it on. Lovely to touch and feel on the skin. As aforementioned, Alpaca is quite durable and strong so until I get some mileage out of this scarf, I am comfortable with giving it a very high grade. I will try to update these sections in a few months time to reflect actual use. Bonus points that they actually make these in Peru instead of a country like China. I would rather support the local economy there than outsource it elsewhere. I love it when people ask me these questions. Because we already talked about the insulating abilities of Alpaca wool and this is definitely the case here. I have been testing it during the last week here in Stockholm, with temperatures ranging from -3℃ to +5℃. During warmer times the scarf was breathable, but I did not have to wrap it too much or I would be hot. When temperature started dropping below 0℃ though, this is where it began to shine. Excellent insulation and for the first time in my life, I felt 100% ready to tackle the Swedish Winter. It is so large and wide that you have no excuse to not wrap it properly and keep your throat warm, especially if you are sensitive to the cold like I am. Fantastic performance that deserves the highest possible mark. It Looks Like A Good Purchase Misiu Academy! Giving such a high grade to the Suitsupply Alpaca Scarf should come as no surprise . It costs as much as a good woollen scarf but has much better performance in my opinion. If I had to give it a final score right now, that would be a 9/10. Warm, very soft and built to last with a very competitive price, while reserving one point to see how it will fare when snow starts and the condition it will be in in a few months time. If you look for something more adventurous than plain light brown though, check out the rest of their Alpaca collection. There is usually something for everyone. It makes me so happy to make smart and useful purchases and this one definitely ticks that box. Good job Suitsupply. 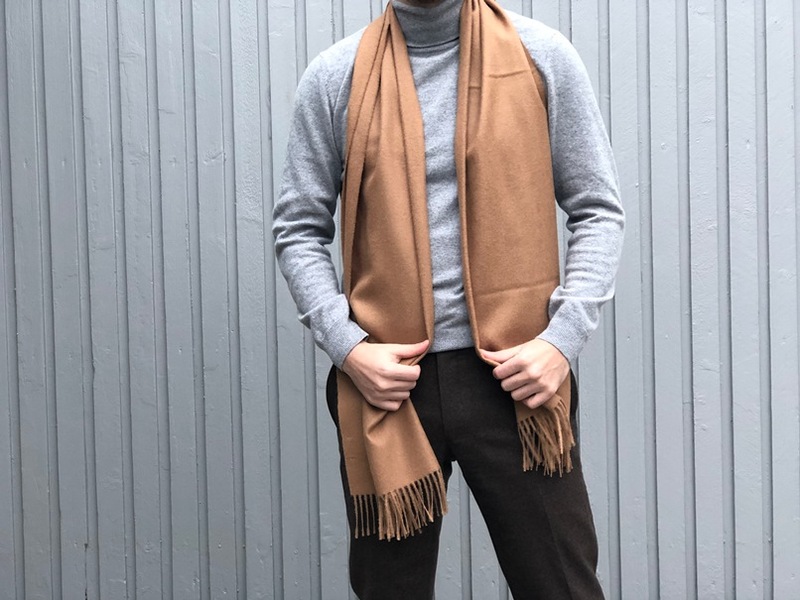 That brings us to the end of the “Suitsupply Alpaca Scarf Review In Light Brown” and I hope you learned a little more today about this kind of fabric. Do you find this helpful? Do you own any clothes or accessories made from Alpaca? We would love to read your comments down below! Hello, my name is Kostas. and I am the owner of Misiu Academy. Here you can find weekly posts about men’s style, how-to-guides and reviews focusing mostly on younger gentlemen and formal attire. If you are lost in your quest to be stylish, look no further! I will see you in the comments! Subscribe and get our Minimalist Wardrobe Guide!